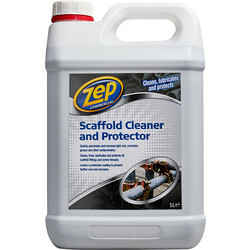 Browse a collection of professional outdoor cleaner used to remove grease and grime from a variety of flooring types. 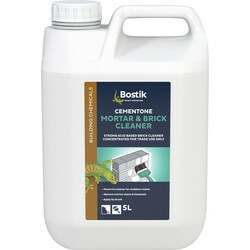 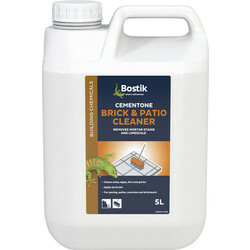 We stock popular outdoor cleaning brands including Cementone, Barrettine, KnockOut and Swarfega. 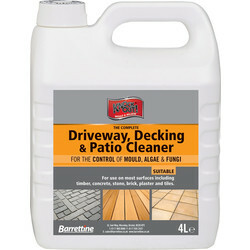 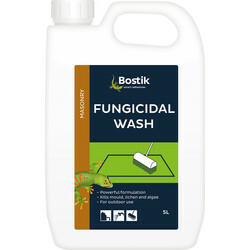 View a selection of patio and deck cleaner such as the Barrettine decking, patio and driveway cleaner that kills unsightly mould, fungi and algae for a brand new looking surface! Please note the hazard safety codes of R22, R34 and R50. 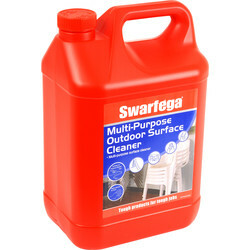 Find Cementone brick and patio cleaner in 5 litres to remove stains and limescale from bricks, concrete, paving and tiles, or for an all in one solution, choose the Swarfega multipurpose outdoor cleaner. 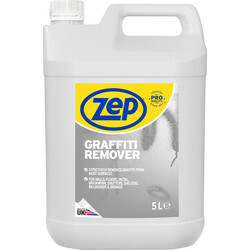 It removes grease, grime and dirt from patios and driveways to garden furniture, uPVC window frames, BBQs and more with safety hazard codes of R22, R36, R38 and R41. 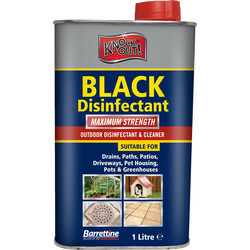 Ensure all outdoor surfaces are safe for pets and more with outdoor disinfectant, such as the Knockout black outdoor disinfectant for paths, patios, drains, pet housing, pots and greenhouses with hazard safety codes of R21/22, R25, R34, R36/38 and R53. 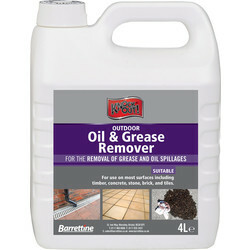 Accidentally spilled oil or grease? 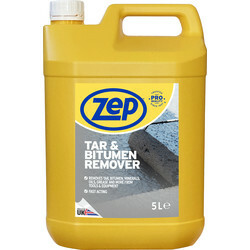 Use the oil and grease remover for stubborn stains on most outdoor surfaces with hazard safety codes R22, R36, R37, R38 and R41. 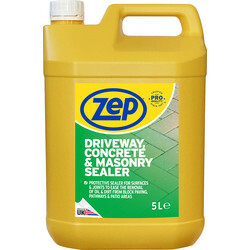 Spend over Â£10 online for free delivery or use our click and collection service to pick up items from your closest branch.